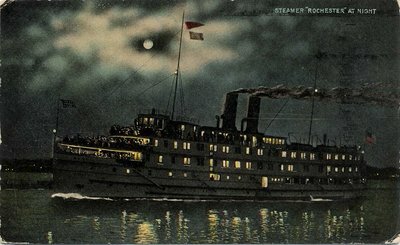 Coloured postcard of the Richelieu and Ontario Navigation Company ROCHESTER in a nigh scene. Divided back postcard. Postmarked Syracuse & Rome, Aug. 1912.